More than 200 children participated in the Orange Lions Club’s 55th annual Easter Egg Hunt on the Orange Fairgrounds April 8. Prior to the hunt that began at 1 p.m. children were entertained with face painting and activities and of course visiting with the Easter Bunny. The Lions seeded the field with 2,000 plastic eggs and countless foil wrapped chocolate eggs, miniature chocolates, m&ms and more. After each group completed their hunt, there was not a candy to be found. Children who were lucky enough to find a foil egg marked with a sticker headed to the pavilion for a special prize. Lions President Nick Bencivengo welcomed one young man in a wheelchair to participate, but he became overwhelmed by the crowd and couldn’t make himself enter the field. So two younger children, Amanda and Jacob kindly offered to collect some candy for him. The Lions thank the parents for their good behavior and for following the rules this year. The Orange Lions Club is sponsoring its 52nd annual Easter Egg Hunt on Saturday, April 12, at the High Plains Community Center in Orange. The Easter Bunny will arrive at 12:30 p.m. Additional activities include face painting and coffee beginning at noon. The Easter Egg Hunt is divided into four groups, to ensure that every child has an equal chance to collect the thousands of chocolate eggs that will be hidden. The four groups are: Pre-School through Kindergarten; 1st & 2nd grade; 3rd & 4th grade; and 5th & 6th grade. 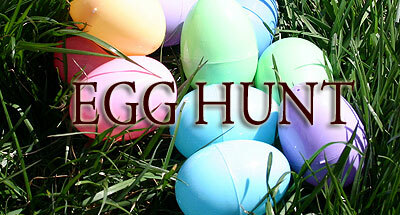 More than 10,000 chocolate eggs will be distributed during the hunt. In addition, many prizes will be awarded to children in the above four categories for finding specially marked eggs. An adult must accompany all participating children. Each child should bring a bag or basket to collect eggs. Parents may wish to bring a camera for a picture of their child with the Easter Bunny. Please note that parking for this event should be on paved parking areas only. Lion Nick Bencivengo is the Chairman of this year’s event. Anyone who wishes to contribute prizes or make a donation toward the purchase of prizes for this traditional community event is asked to contact Nick at 203-901-9062. All contributors and donors will be acknowledged for their generosity at the Easter Egg Hunt. In case of inclement weather, a “rain or snow date” has been set for Saturday, April 19, 2014 at High Plains Community Center. The arrival of the Easter Bunny (12:30 PM) and Easter Egg Hunt (Noon) will remain the same. The Easter Egg Hunt is but one of many community events and activities sponsored by the Orange Lions Club each year. 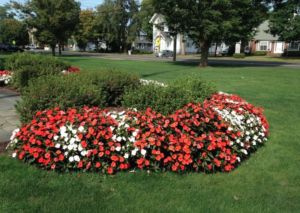 Among other activities are: the annual community Thanksgiving Dinner, the Orange Scholarship Fund, (which awards two $1,000 scholarships to local youths each year), the annual Senior’s Pizza Party plus the Orange Lions provides Community Grants to worthy organizations and government agencies to purchase needed items. The Orange Lions Club makes generous gifts to Case Memorial Library for the purchase of large print books and audio tapes and DVD’s for the sight impaired. One of the young participants from the 2013 Easter Egg Hunt. For 52 years, the Easter Bunny has never let the Orange Lions Club down. He believes in their charitable acts and is more than happy to help out when they call. The 52nd Easter Egg Hunt will take place at the High Plains Community Center, Saturday, April 12 from 12 noon to 2:30 p.m. (Rain Date April 19). The Lions know that big gatherings can be overwhelming for little children, so they split the hunt up into different categories — Pre K up to 6th grade have their own specified time on the lawn so 4-year-olds don’t have to compete with 10-year-olds for the thousands of chocolate eggs in the grass. Among the foil covered chocolate eggs in each group are many Lucky Star eggs that entitle the bearer to a special prize. The Easter Egg hunt attracts hundreds of children each year and participation and parking are free. The Lions are seeking monetary donations with which to purchase these prizes. If you would like to help of for more information call Nick at 203-901-9062. Editor’s Note: Last year I practiced with my granddaughter for a few weeks before the hunt. She knew how to pick up the eggs and place them in a basket. She was so shy and tiny that I didn’t put her in the roped in area, but she was just as happy as can be with the ONE pink foil egg she found outside the ropes. At that age, it’s not about filling a basket, it’s more about just being there, meeting the Easter Bunny, and finding one egg is a huge sense of accomplishment. Mark your calendars, the Orange Lions Club will host its 51st annual Easter Egg Hunt at High Plains Fairgrounds, Saturday, March 23, with activities beginning at 12:30 p.m. when the Easter Bunny arrives. Hunt begins at 1 p.m.
As always, local children in four age groups are welcomed to attend, meet the Easter Bunny, have his or her face painted and then show their skill at finding foil wrapped chocolate eggs in the grass. Children who possess a specially marked egg after the hunt for his or her age group is entitled to pick a prize under the pavilion. The Lions ask that guests use the parking lot only and that no one parks on the grass. A rain date of March 30 has been set, same place, same time. Originally Published on: Mar 1, 2013 @ 12:06 a.m. The Church of the Good Shepherd, 680 Race Brook Road, has announced it’s Holy Week schedule culminating in the celebration of Easter. April 8~ Easter Sunday: (Worship and Eucharist, 8 am,) (Breakfast, 9am-All are welcome), Worship and Eucharist 10:00 a.m. and Easter Egg hunt following the 10 am.